I love it when designers take an unvarying tradition on a fun and modern spin. 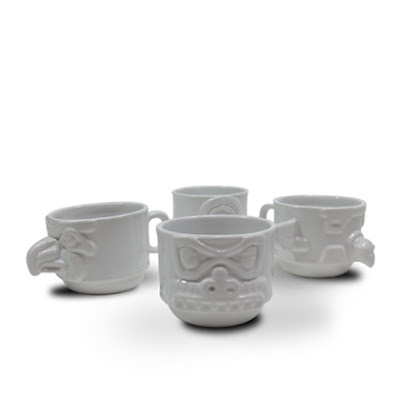 The art of preparing and drinking tea is rich in history and culture. 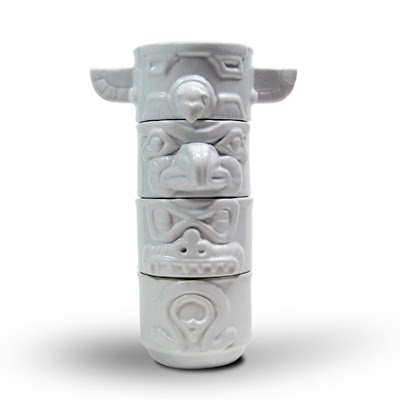 This ancient herbal beverage is associated with elegance, sophistication, and tranquility, but today, artists are cleverly redesigning various facets of this tradition to suit our modern taste for inspiring and effective designs. 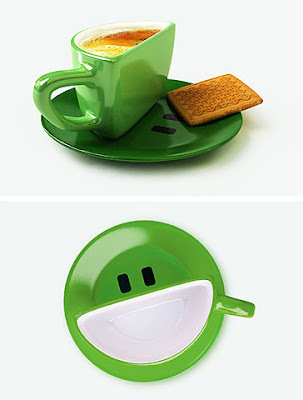 Many of these innovative designs are functional as well. 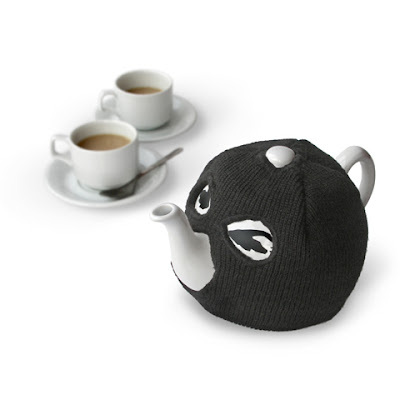 The Terrorist Tea Pot comes with a ski mask cozy to keep its contents warm for longer, while the colorful Tea Dam Cups enable you to drink your tea while allowing it to steep slowly. 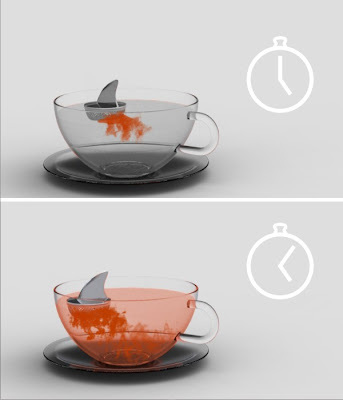 What I love about the design behind the Sharky tea infuser concept is that it effectively utilizes the natural properties of diffusing tea to create a fun Jaws-themed environment in your teacup. How clever! After steeping, my tea bag usually sits awkwardly on a platter—if I have one—or drips inconveniently as I struggle to find a good place to place it. 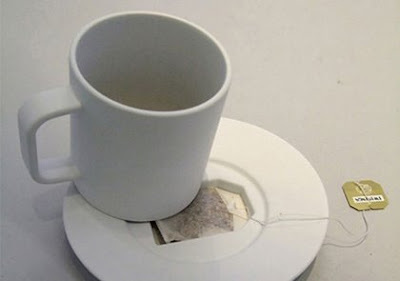 Jonas Trampedach observed the awkwardness of dealing with a used tea bag and came up with this wonderful solution. The Tea Bag Coffin provides a thoughtful and respectable resting place. These are all some really clever ways to put some fun into our daily routines. 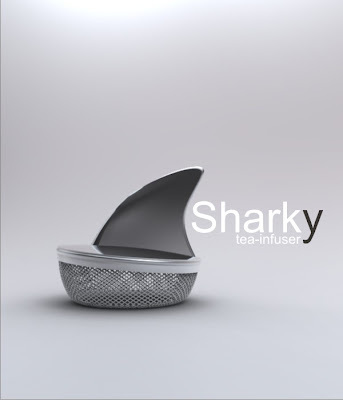 I drink tea a few times each week, and can definitely see myself using something like the Sharky infuser. My favorite tea is mint tea—made from dried spearmint leaves—but I will go for black tea whenever I need that extra boost in the morning. I'm pretty caffeine-sensitive, so I only drink herbal teas later in the day. Do you drink tea? What's your favorite kind? 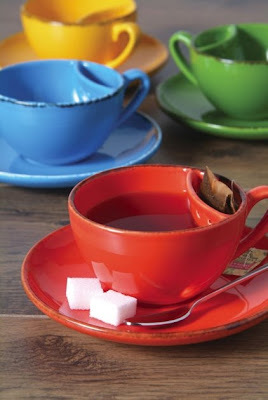 Do you have your own way of steeping and drinking?